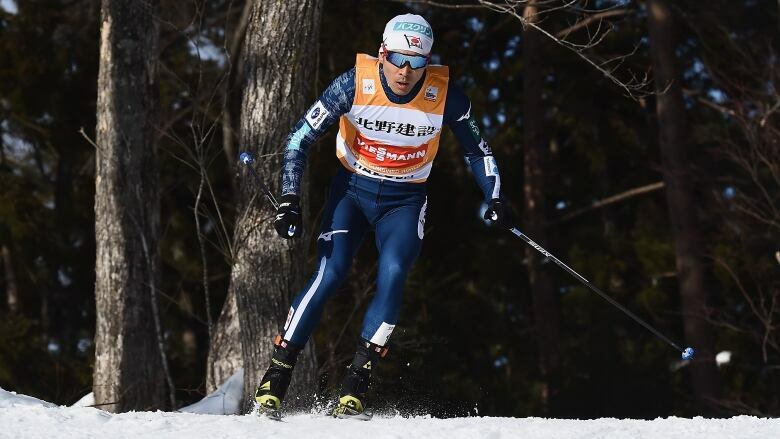 Akito Watabe of Japan won his fourth straight Nordic combined World Cup event on Saturday in Hakuba, Japan, to enhance his position as a gold medal contender at the Pyeongchang Olympics. Watabe jumped 130.5 metres and finished the 10-kilometre race in 24 minutes, 14.6 seconds, 1:12.6 ahead of Norway's Jan Schmid. Germany's Manuel Faisst was third. The 29-year-old Sochi silver medallist, who will represent Japan in his fourth straight Winter Olympics in Pyeongchang, extended his season wins to five — the most he has won in a single season on the World Cup circuit.Watabe became only the second athlete to sweep the three-day Seefeld Triple event in Austria last month. He has surged to the top of the World Cup standings with the results from Japan and Austria, adding to a win earlier this season in Finland. Watabe has 845 points in the overall standings, 60 ahead of Schmid heading into Sunday's final World Cup event before the Olympics.